Addis Ababa (AFP) - An Ethiopian religious group on Thursday announced plans to stage an anti-gay rally this month to protest what it called "rising incidents" of homosexuality in the conservative Horn of Africa nation. The initiative comes after Uganda and Nigeria recently passed tough anti-gay laws, although Ethiopian authorities said they were "indifferent" to the demonstration. "The country has seen an increase in gay-related activities and this has reached an alarming stage," said Dereje Negash, the head of a Christian Association, Woyniye Abune Teklehaimanot. The demonstration is set to take place in the Ethiopian capital on April 26, the first mass rally against homosexual rights in the country. It is jointly organised with the Addis Ababa Youth Forum, a civil society organisation, and has been given the green light by city authorities. The Ethiopian government, however, insisted that any group had the right to freedom of expression and that it was not for or against the rally. Homosexuality is already illegal in the country like in most of Africa's 54 nations, and punishable by up to 15 years in prison. "We are indifferent, we just see it as the right to have a demonstration, otherwise we don't support or oppose,” Information Minister Redwan Hussein told AFP. 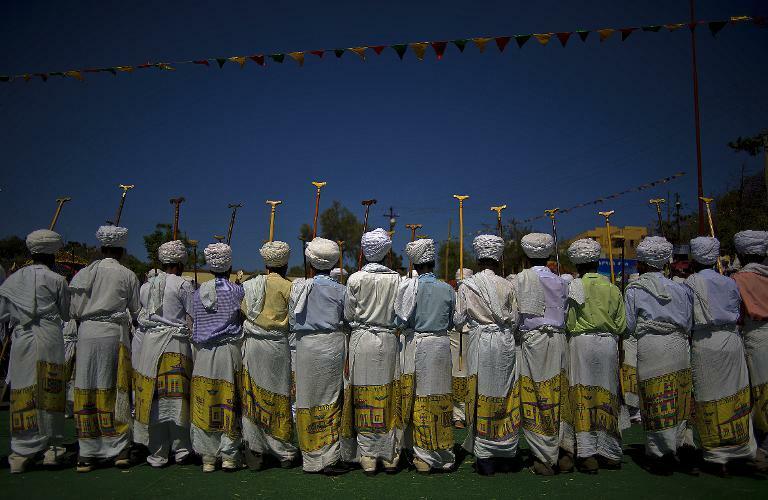 Ethiopia is a deeply religious society, with over 60 percent of the population practising Orthodox Christianity, according to official figures.